St Jude & St Paul’s Church has been a mission partner of the Church Mission Society (CMS) since 1880. 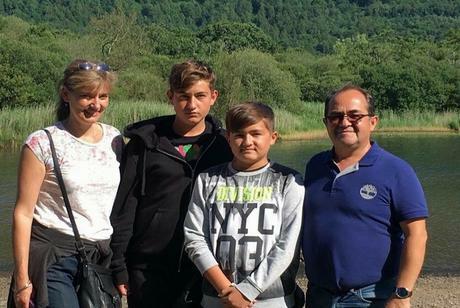 Today we partner in mission with the Yanez family who are CMS mission partners in Spain. They keep in contact regularly by sending link letters to our church, letting us know about prayer requests and how they continue to provide assistance to the community they serve. The family consists of Felipe and Sarah and their two children Aaron and Sam. click here to see more about them on their website. Other world mission work we support includes the diocesan partnership with the Anglican Churches in Angola and Mozambique (ALMA) and People’s Power Collective in India. The Mildmay Mission Hospital was founded by Rev William Pennefather who was a previous vicar of the church in 1864. Helen Taylor-Thompson has been hugely influential in shaping the development of the hospital. It is now a charitable hospital specialising in HIV, delivering quality care and treatment, prevention work, rehabilitation, training, education and health strengthening in the UK and East Africa. 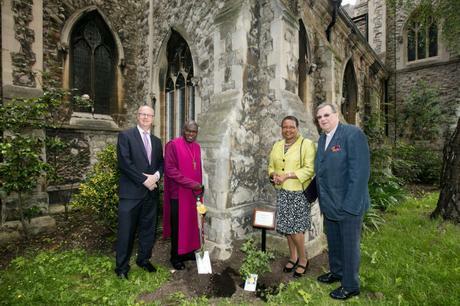 The Archbishop of York planting the Mildmay Rose. In 2016 Mildmay marked 150 years of the provision of service, compassion and medical care. The service was held at St Jude’s Church. For a copy of Mildmay’s current prayer diary click here.